Gardens were a great source of ingredients for both cooking and medicinal purposes in medieval times. Some herbs and plants were also used for religious ceremonies and for dyeing of fabrics. A selection of herbs and plants grown in medieval gardens are still around today with a few still used for the same purpose – eg. 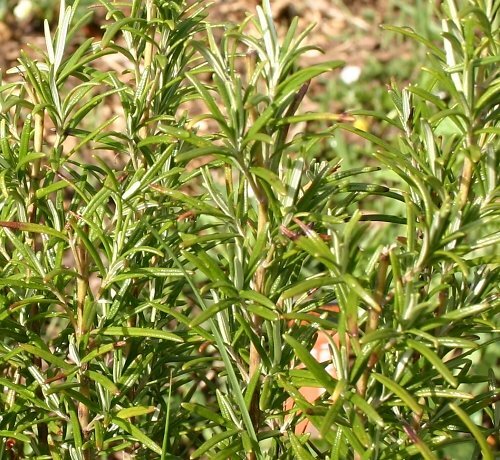 Rosemary (Romarinus officinalis) was used then, as it is now, in cookery for seasoning. Many medieval castles have gardens, not all dating from the medieval era admittedly, but many of the families who have owned these castles over the centuries have developed herb gardens within their castle gardens. I once enjoyed a super meal cooked by Lady Carlisle at Naworth Castle and recall how she enthused about the quality of the herbs in the recipe – all from her own herb garden within the castle grounds. I must admit, the food did taste really good!